Testing new Bus Rapid Transit (BRT) elements: platform level boarding, transit signal priority, and bus-only lanes. Starting this summer, the City of Everett and the Massachusetts Bay Transportation Authority (MBTA) are collaborating to test “level boarding” at two bus stations in Everett Square. Station platforms will be installed at the same level as bus doors to empower all bus riders on Routes 97, 104, 109, 110, and 112 to board and exit without delay— just like on a subway. In 2016, Everett began a dedicated bus-only lane down Broadway, creating a faster and more reliable bus experience for riders. Level Boarding is the second feature of Bus Rapid Transit (BRT) that Everett is incorporating to its bus system. 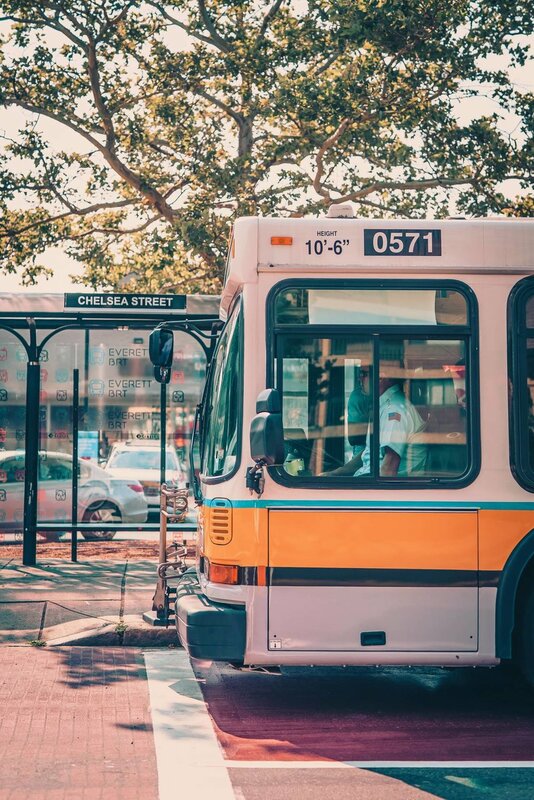 With the addition of level boarding, Everett’s bus system will be the first in Massachusetts that incorporates inclusive design to grant seniors and those with limited mobility or strollers the same freedom of movement as their other Everett neighbors. Level boarding also creates a faster bus experience for everyone. Transit Signal Priority Everett will also incorporate re-timed traffic signals called “Transit Signal Priority” at three locations along Broadway to give southbound buses more green light time when needed while improving traffic flow overall. Taking the bus should be easy and fast for everyone. mobility or young children, and leading to overall delays. 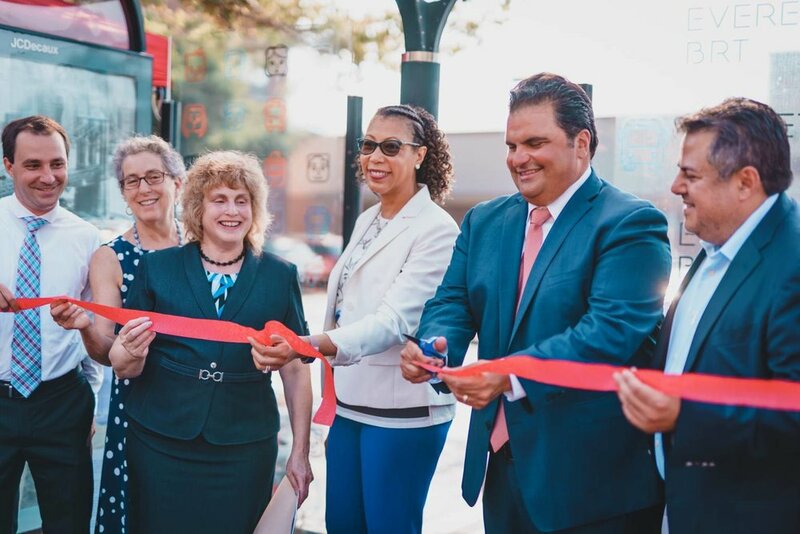 Building on Everett’s dedicated bus-only lane through a level boarding pilot will create a faster, more reliable commute for 7,500 riders on the five key routes along Broadway and in Everett Square and thousands more who use the routes to and from Boston, Malden, Chelsea, and Revere. The level boarding pilot is part of a long-term Everett Transit Action Plan, which includes major service and route improvements, transit investments, and bike and pedestrian access. With ridership on Upper Broadway bus lines projected to increase by more than 25 percent by 2040, moving Everett’s bus system in the direction of BRT is key to establishing Broadway as one of Greater Boston’s best transit corridors and providing a strong pathway for future transit investments. This phase of the bus pilot will begin with an initial month of focused publicity and education in June. Everett and the MBTA anticipate leaving the facilities in place while working with community members and local businesses to evaluate the pilot over the summer and determine whether any further adjustments are appropriate. Follow along on Twitter, Facebook, and Instagram through.